The article has been published online on the JAMA patient page titled "Low Back Pain," and discusses the causes, symptoms, diagnosis, treatment options, and prevention of low-back pain. The doctors who wrote the article go on to explain that the back is comprised of bones, nerves, muscles, and soft tissues like ligaments and tendons. Back pain can be a result of problems with any of these structures. In an interview about the JAMA article, ACA President Keith Overland, DC, said that he and his colleagues at ACA were encouraged to see chiropractic suggested for back-pain treatment. 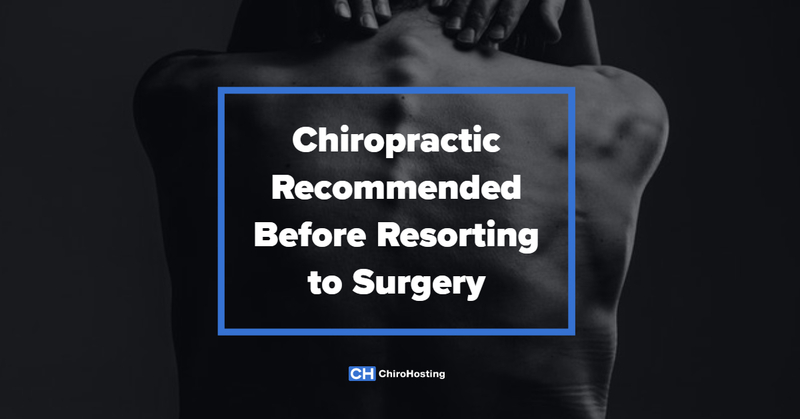 He confirmed that in many cases, back pain can be alleviated without the use of drugs or surgery, "so it makes sense to exhaust conservative options first." And chiropractic makes sense for reducing health-care costs as well. Dr. Overland went on to say, "Research confirms that the services provided by chiropractic physicians are not only clinically effective but also cost-effective, so taking a more conservative approach at the onset of low back pain can also potentially save both patients and the health care system money down the line."